Hola, everyone! 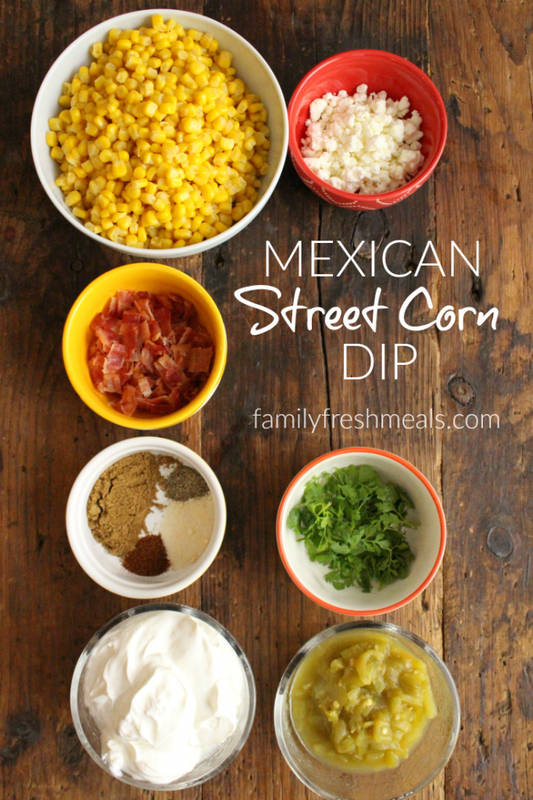 In honor of Cinco de Mayo, I’ve whipped up a little Mexican-themed dip for you. I got the idea for this last week, when I tried Mexican Street Corn for the first time. 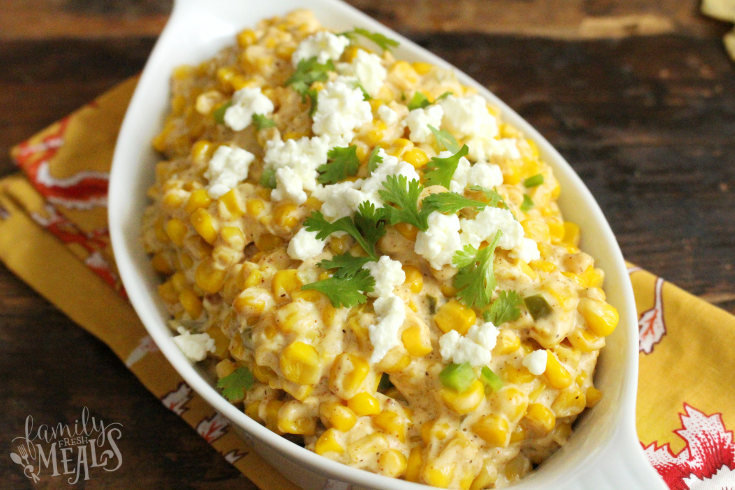 This is an amazing dish where you take fresh corn on the cob, grill it, slather it with Mexican crema (kind of like a thinner, more sour version of sour cream), and roll it in crumbly Cotija cheese with plenty of spices. So of course, as soon as I tried this fantastic recipe, I just had to find a way to turn it into a dip. Because that’s just the way I roll. 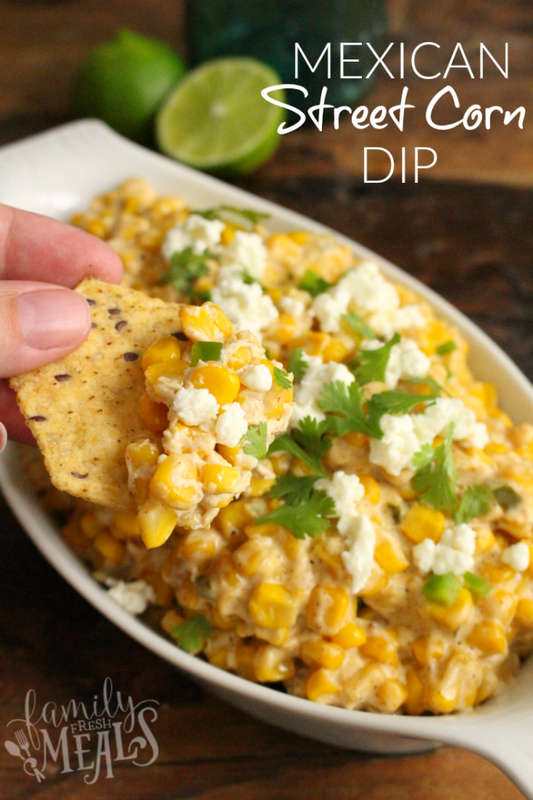 If you want your dip to be really authentic, you can grill the corn in the traditional way and cut the kernels off – but if you just want it to be easy, you can start with canned corn kernels. Saute those with some butter, garlic, and jalapeno peppers and mix them with a blend of mayo, cream cheese, sour cream (my substitute for the Mexican crema) and zesty Mexican spices. Top all that with cilantro and Cotija cheese, and you can get this fiesta started! 1. 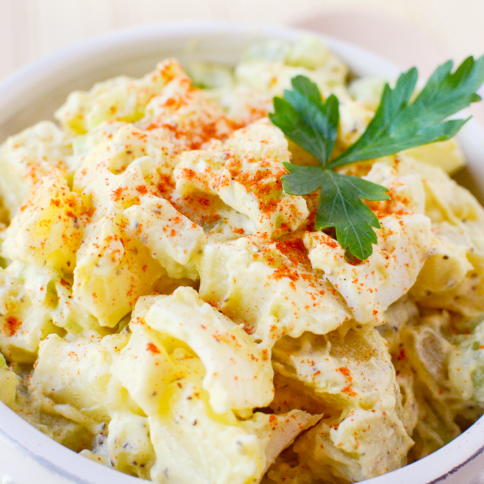 Using a stand or hand mixer, whip together cream cheese, sour cream, mayo, cumin, chili powder, salt add pepper. Mix until smooth and creamy. Set aside. 2. In a large skillet, melt butter over a medium/high heat and saute garlic and jalapeño for 1-2 mins. 3. 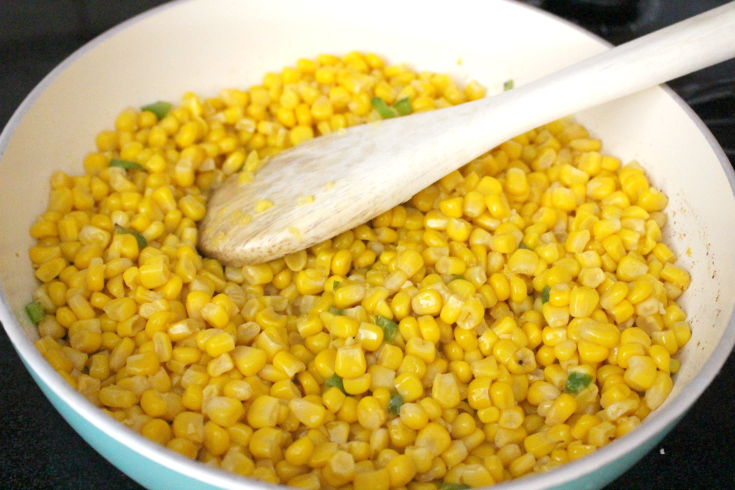 Add the corn and cook for 5-7 mins. Remove from heat and transfer to your bowl with cream cheese mixture. Mix together. Carefully hand mix in 1/4 cup of cotija cheese and 2 Tablespoons of cilantro. 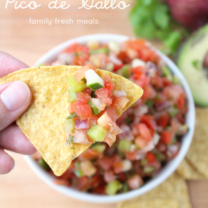 Pour the dip into a serving bowl and garnish with remaining cotija cheese and cilantro. TIP: If you LOVE cilantro, or spice….feel free to add more jalapeño or cilantro to the mix! 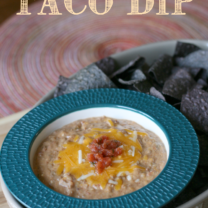 Do you want a fun dip to try for Cinco de Mayo? 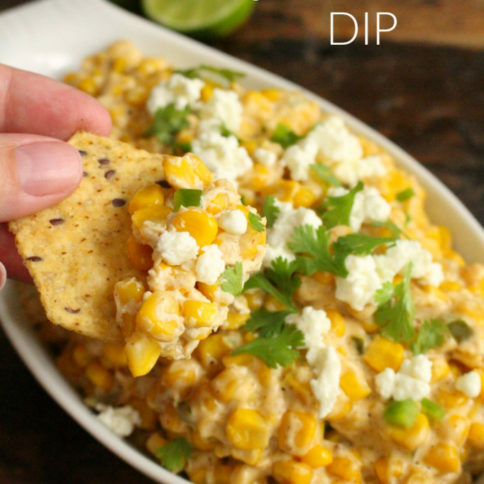 This Mexican Street Corn Dip tastes just like you favorite street corn, but in a dip form! 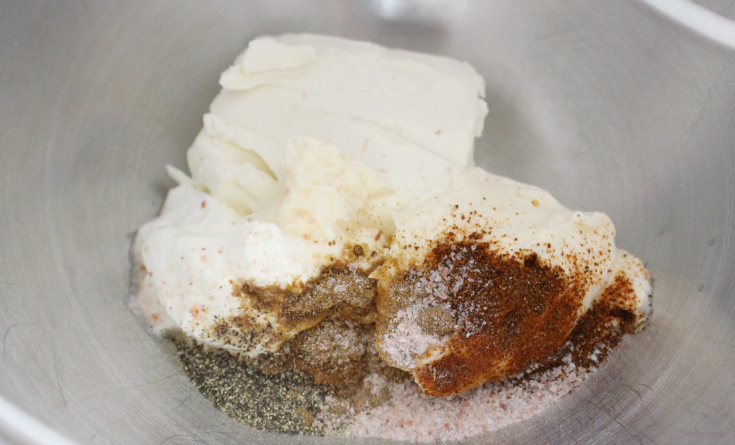 Using a stand or hand mixer, whip together cream cheese, sour cream, mayo, cumin, chili powder, salt add pepper. Mix until smooth and creamy. Set aside. 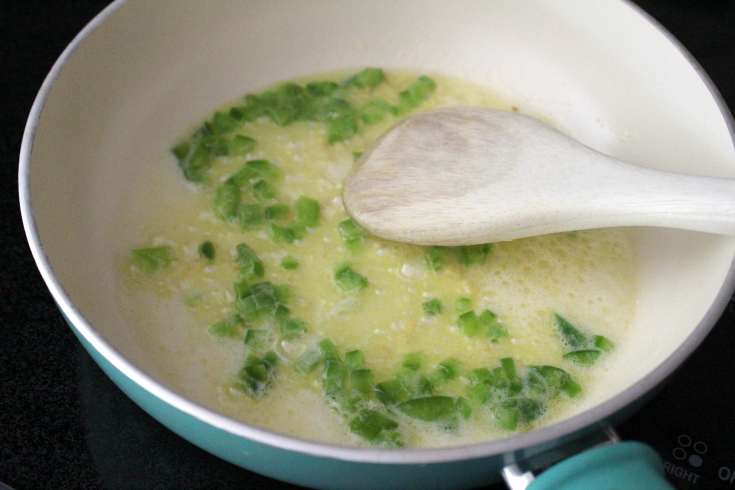 In a large skillet, melt butter over a medium/high heat and saute garlic and jalapeño for 1-2 mins. Add the corn and cook for 5-7 mins. Remove from heat and transfer to your bowl with cream cheese mixture. Mix together. Carefully hand mix in 1/4 cup of cotija cheese and 2 Tablespoons of cilantro. Made this tonight and it is sooooooo tasty! I doubled the recipe and I’m glad I did! I have not done that yet, But I am sure it would be amazing! I am so excited to make this receipt for the weekend! Can I just use crema instead of the substitutes? I have a large amount left over from making other meals this week. 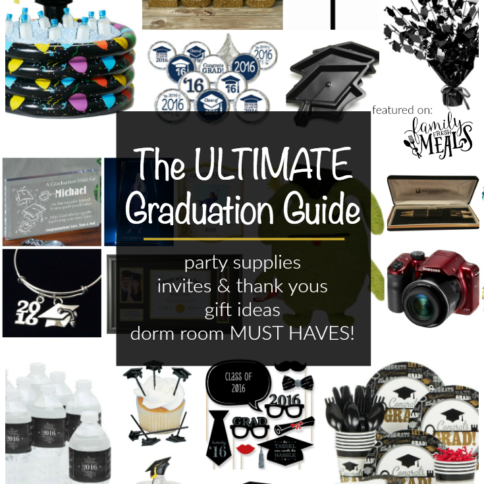 Not sure how much I would use if you could let me know that would be great! I am sure that would work great Val! Is this dip served warm or at room temperature? Looks wonderful. Thx. 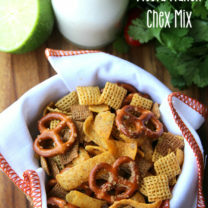 In your photo above the recipe it looks like there’s bacon in one of those bowls. But I don’t see bacon listed in the recipe anywhere. Am I missing something? I’m all for bacon but I just want to make sure it’s supposed to be there. You can use the bacon as a topping if you like Casey. It is not a necessary ingredient. This is a fabulous appetizer! I have made it twice now, first with frozen corn (Spring) and with fresh corn in July. Big hit with both groups! 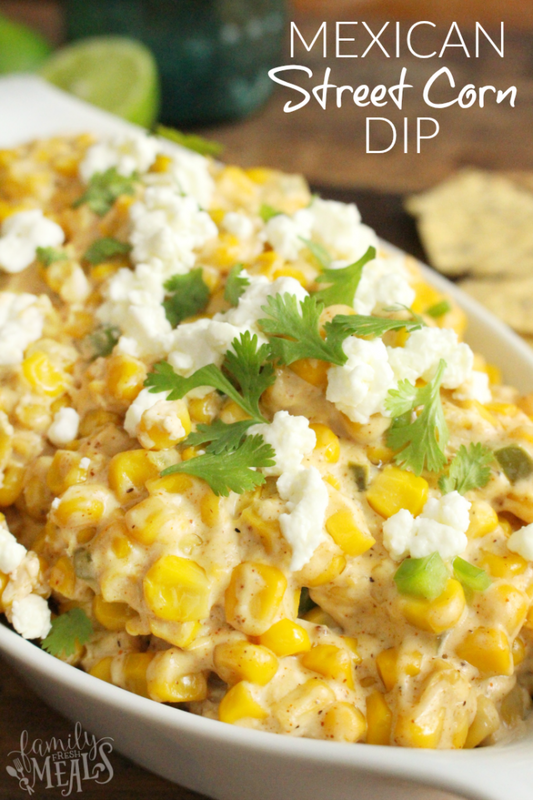 It was definitely best with the fresh white corn and will become a go-to recipe for parties! Awesome Ginni! 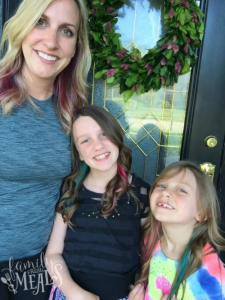 I am so happy to hear you love it!